our air ambulance experts will contact you. 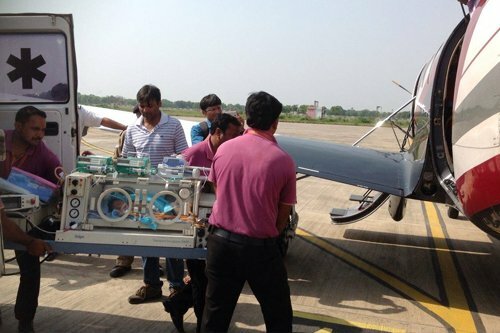 We specialize in providing air ambulance services from Mumbai to anywhere around the globe. 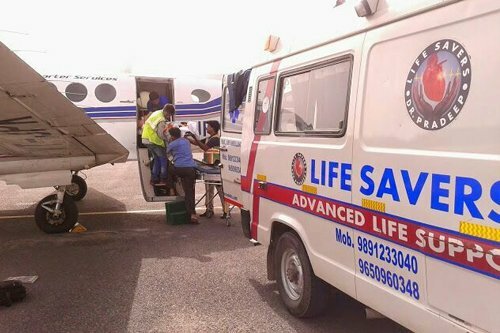 Air ambulance service in Mumbai is a reliable method to transport patients fast from one medical center to another. Our services are highly appreciated for the affordable prices, experienced medical staff and 24x7 booking availability. Before the medical evacuation, the doctors check the patient is stable enough to be airlifted. After performing the check-up, the patients are on the board. Critically ill patients require emergency treatment, for that purpose you can book the aircraft on the same day under our medical air panel. Who requires Air Ambulance Service in Mumbai? The air transportation sometimes becomes a necessity for the foreigners as they need medical treatment which might not be available in the country. While the patients from the nation also travel to other countries for advanced treatment. Being in the business for long time, it gives us the expertise to perform a complex medical evacuation. The patients might be required to transfer to a hospital with better facilities within a small time limit. 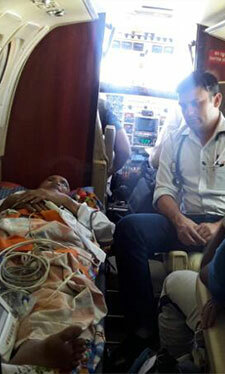 In such a condition, using Air Ambulance Service in Mumbai is the best option. 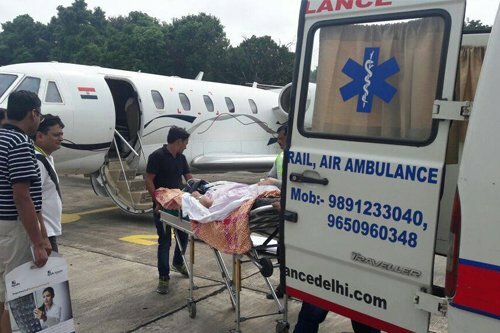 How to book Air Ambulance Service in Mumbai? 1. Physical Assessment –to check if the patient can fly in the medical condition they are currently suffering. 2. Know all the equipment & medical facilities the patient requires. 3. Coordinate with the hospitals in order to have the departure and arrival swiftly. 4. Know if the patient has any special needs and inform our medical staff about it. During your travel our medical staff will manage all your healthcare issues. From the onset, we take all the precautions and are well-prepared for the evacuation. Along with Mumbai, we offer air ambulance services all over India and worldwide. In the case of emergencies, you can schedule a commercial and charter air ambulance service on a small day. From your remote location, we can transport patients to another city or country as per their requirement. For ICU patients we have all the standard equipment to make sure they feel comfortable during the flight. Book a pocket-friendly air ambulance service in Mumbai anytime with us.